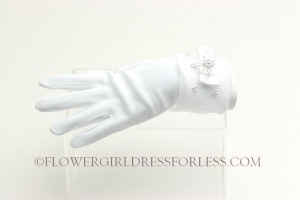 The perfect dress for her special day, this dress is so stylish. 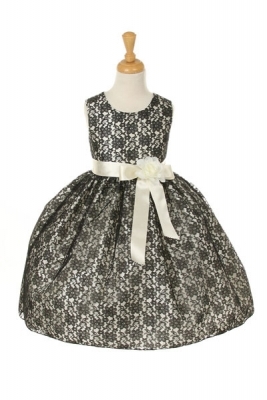 The dress is made in beautiful floral lace and the waist line is accented with an adorable bow. The skirt on this dress has the perfect amount of fullness. 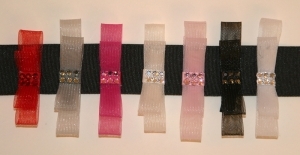 Comes in endless removable satin sash and pin on flower color options! 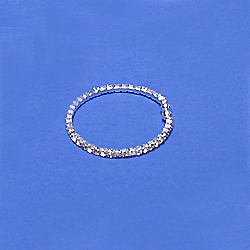 The dress is fully lined for complete coverage to ensure that your princess stays comfortable. Zipper closure. Do not miss out on this dress! Proudly made in the USA. This dress is pictured with an additional petticoat. To achieve this fullness you will want to add petticoat to dress. NOTE: RIBBON SASHES ARE BEING PICTURED. Girls Dress Style 1132- Choice of White or Ivory BUILD YOUR OWN DRESS! 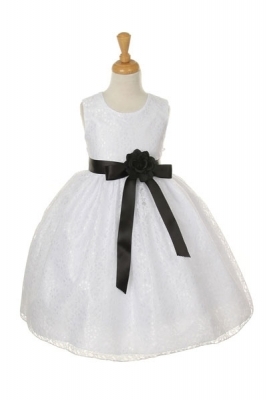 Girls Dress Style 1132- White or Ivory Taffeta and Lace BUILD YOUR OWN DRESS!